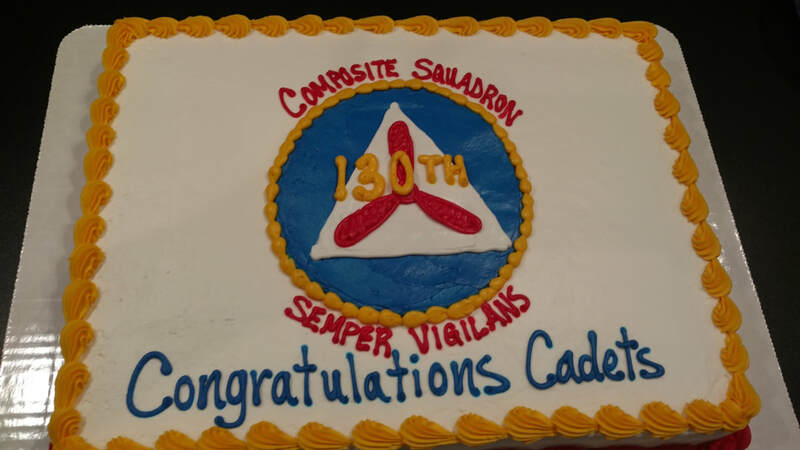 The 130th Composite Squadron is based out of Airlake Airport (Hangar) in Lakeville and a community location at Christian Life Church (CLC) in Farmington. ​Meetings are weekly on Tuesday evenings from 7pm-9pm. Location varies. Can't make a meeting? Please use this link below (Cadets Only). Would you like the 130th Color Guard to perform at your event? Please use the button below. Cadets, are you interested in joining the Color Guard or the Honor Guard? Then please click on the link below. Cadets must be approved by Maj Phillips & have a signed CAPF 31. Note: The Commander is reserving rooms for all attending cadets. Parents will not need to reserve a room for their cadet. Cadet transportation will be available. 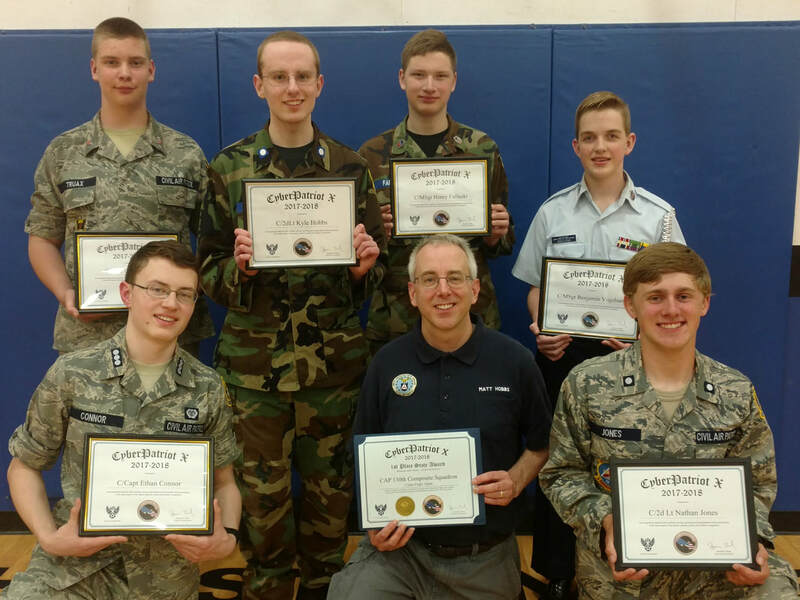 On Saturday, 18 May, the Minnesota Wing is hosting “The GREAT MINNESOTA WING AEROSPACE FLING” at South Saint Paul Fleming Field Airport (6275 Crossman Lane, Inver Grove Heights, MN 55076-1851). The Great MNWG AE Fling begins at 10:00, is FREE, and open to CAP members, families and friends. Camp Ripley, Little Falls, MN - Encampment is a week-long training opportunity for cadets to learn leadership, teamwork, self-discipline and experience a variety of tours. These often include simulators, confidence course and helicopter flights. The purpose is to provide the most influential week of training in a cadet’s career. Registration will open in Late April. Be sure to apply right away as there is limited space. Why should cadets go to Encampment? • Attend the Encampment Prep School (EPS) prior to encampment. 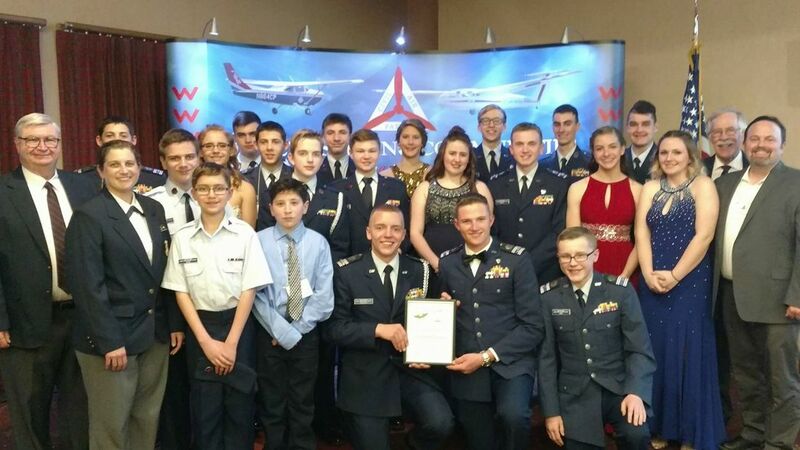 Approximately 30 members of 130th Composite Squadron attend the 2018 MN Wing Conference at Breezy Point Resort (North of Brainerd, MN). 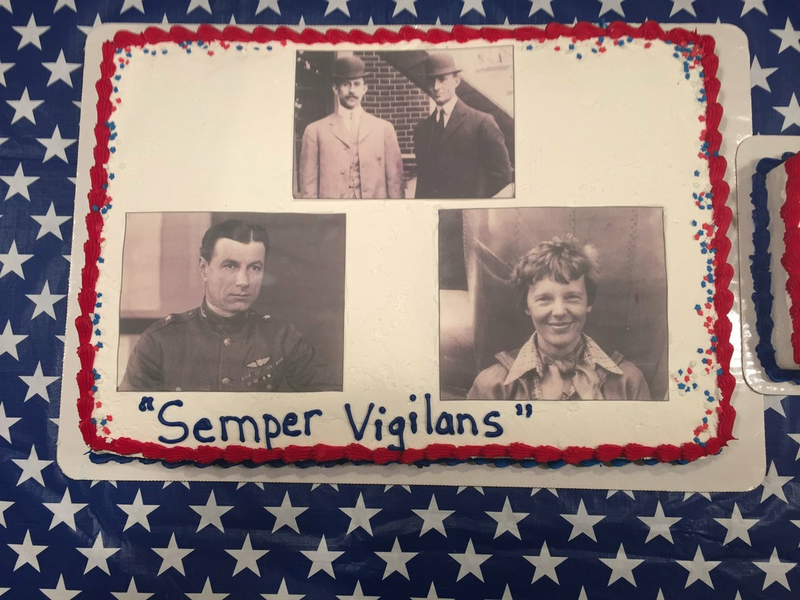 ​Attendees took in various training sessions, briefings, social gatherings, and wrapped it all up with an awards banquet and military ball. Cadets and Seniors alike had a blast and learned a lot. 130th Cadets Place First in State! 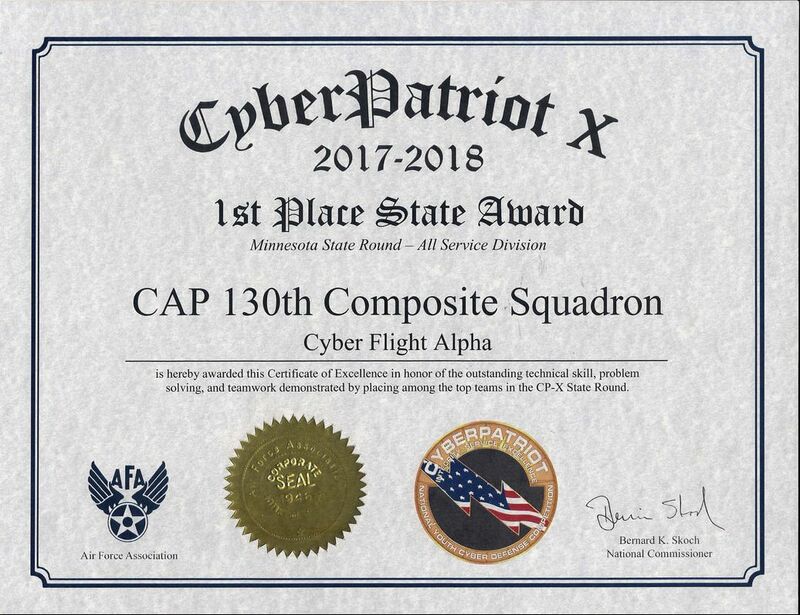 ​130th CyberPatriot X Team- 1st Place state round all services division (2nd Consecutive).